Today I’m going to talk to you about paper clips. Before you change that dial, let me assure you that I plan on making it as interesting as possible. Promise. Back in the day, when I was on the job hunt, I always made sure my resume was polished and printed on the fanciest paper I could find. After all, there were plenty of others in my employment boat with a similar background and nearly identical credentials. I had to find every which way to stand out from the crowd. One opening caught my eye in particular so I decided to take it up a notch. When mailing a copy of my resume, I pulled from my new found stash of fabulous paper clips. And these weren’t just any paper clips mind you- they were thicker, slightly oversized… and lime green. I was thrilled to interview with the company, and positively giddy as I was leaving and the office manager stopped me to compliment me on my paper clip. She shoots, she scores. So what in the world does this have to do with the wedding industry? Let’s face it- we are in an over saturated market and oftentimes, brides may not have enough discriminatory taste on their own to see the difference between you and the new kid on the block with three weddings under their belt and rock bottom prices. Fact: Little details tend count Big. The question is- what little things are you doing to ensure that you book that bride? In short, pay attention to her. What are her wedding colors? Find out and incorporate them into your proposal. Does she have any big things coming up in her personal life such as a friend’s wedding or big trip? Follow up and ask how it went. If manageable, run Google alerts on a weekly basis with upcoming clients. If they receive a media mention, drop her a quick note and congratulate her. It’s imperative that you connect with your bride in a way that no one else has. Making the little details count will do just that, and more. I’m giving away paper clips. 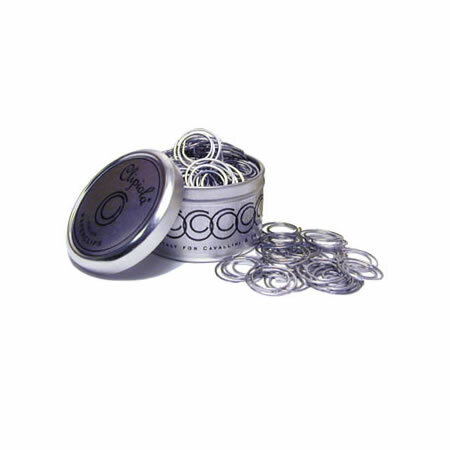 These aren’t just any paper clips, mind you- these bad boys are Clipiolas- Italian round paper clips guaranteed to put any other paper clips to shame. 1) Join my Facebook page and post on my wall that you’ve become a fan. 3) Add Illuminate to your RSS feed through the link at the bottom of the page. Bonus- I’ll throw your name in the hat again if you leave a comment below about how you stand apart from the competition with the little details. The giveaway ends Friday, October 1 and I’ll be announcing a winner on Monday, October 4. In the meantime, start taking the time to make those little details count.